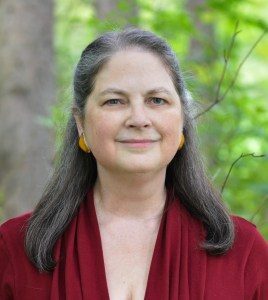 In this third and final post of of our series on financial management for indie writers, US authorpreneur Karen Myers, formerly a Chief Operating Officer and Chief Financial Officer for several small-medium businesses, tells us how to calculate our ROI (return on investment), and what records we should be keeping, having previously explained the significance and meaning of gross and net income. My previous two posts in this series addressed Income Statement for businesses like ours, but there’s another way of looking at your business model. Practically speaking, most of us are investing our (unpaid) labor into starting and running our indie author business, and a certain amount of unavoidable cash. I’m indebted to Dean Wesley Smith for his recommendation of treating our investment like a Variable Annuity. What this means is, you take the cost associated with a product (such as a book), both in money and in labor (your hours times a realistic rate), and each year you analyze what you earn from that investment. For example, let’s look at the first book of my first series (ANNWN-N1, published 2012), the first book of my second series (CHAIN-N1, published 2016), and a bundle of two books from my first series (ANNWN-B2, published 2017). ANNWN-N1: $3992 (includes an audiobook) plus $9552 (317 hours @ $25/hr) = $13544. CHAIN-N1: $1501 (includes work from a conlanger) plus $5442 (199 hrs @ $25/hr) = $6943. ANNWN-B2: $2 (no cost to create the bundle) plus $225 (9 hrs @ $25/hr) = $227. ANNWN-N1: $1058, or 7.8% of the investment cost. CHAIN-N1: $1453, or 21% of the investment cost. ANNWN-B2: $531, or 234% of the investment cost. For my titles overall, my goal is to reach 10% return each year, or better. That’s another way of saying we are investing our labor hours at an attributed rate plus whatever out-of-pocket costs are required into annuities that pay off at a certain percentage every year. Each year I may also need to invest more in existing products — new covers, new formats, etc. — but that’s done with an eye to recouping that cumulative investment over time. This is why you want to track your labor hours for your business lines. It underscores how efficiency in writing or other time spent on a book improves your return. And the tracking of the cumulative costs helps you evaluate if additional investment in a title is warranted, in terms of its potential return. In my case, I knew that bundles were worth doing, but it wasn’t until I started tracking the results of making bundles and what they earned that I realized just how well bundles performed, despite their relatively lower sales volume. The indie author business is a great way to turn unpaid labor into earnings. To get an accurate view of our business, there are three types of data that we must track: out-of-pocket costs, income, and labor hours. This is every payment that you make to anyone. Each expenditure is either part of the Business Model (attributed to a business line and a product in that business line) or part of your indirect costs (office supplies, marketing, etc.). This implies that you can tag everything at this level: “direct cost for Title X”, “direct cost for consulting gig Y”, “direct cost for speaking engagement Z”. You need to organize your business lines and the way you think about them to support this. Many people use an accounting system for this (e.g. QuickBooks) or an outside accountant. If the latter , you will need to give enough information (and oversight) to your accountant to make sure he sets your business up like this. Special care needs to be taken to make sure that everything appropriate is included in the COGS (“Cost of Goods Sold”) bucket for your business lines, since an undirected accountant who doesn’t understand your particular business model is likely to throw direct costs like these into some miscellaneous indirect cost bucket. An undirected accountant will still be able to tell you about your net income, but if he puts costs in the wrong place, you will get no benefit from the detailed information about your business lines that you need to properly analyze your business model. Unfortunately, this means that you really have to step up to tracking your sales, for real, in detail. If you’ve gone wide (not just Amazon), then this typically means a monthly process where you track the units sold by channel by title by format by month by country, with estimated receipts (currency conversions, etc.). Then, when you receive payments for those sales, you can finalize the receipts. This tracking is typically done in a spreadsheet. It’s a straightforward process to turn those finalized amounts into paid invoices in your accounting system or with your accountant. (“Amazon USA paid $X for Y units of title Z in format MOBI in January 2018”). At year-end, you estimate the unpaid amounts based on the unit sales reports from the vendors and make estimated invoices. The invoices are how the income makes its way into your accounting system. As an example, each month I pull sales units from my nine distributors/retailers into a spreadsheet. That just takes a few minutes. I also look at the actual payments I’ve received and match them up to prior month rows in that spreadsheet, create a matching invoice for my accounting system which I mark as paid, and mark the rows in my spreadsheet as paid, also. That just takes a few minutes, too. While I invested a lot of time setting my spreadsheet up and tuning it to do what I want, it only takes me an hour or so to do the monthly work of keeping it updated. From my master spreadsheet I can generate dozens of pivot tables which give me a wealth of analytical data to see how my sales track by, say, country or format or date, to see the effect of advertising, to track sales over time or sales by series entry. This is simple to track, but you need to do it for your lines of business. For the purposes of business analysis for indie authors, I don’t think you need to track your hours for indirect costs (e.g., figuring out how to do Amazon Ads, continuing education, accounting, etc.). That’s not because it’s not important to do those things, but because the costs are indirect — you aren’t going to make business decisions based on how much time you spend “keeping up with the industry”, for example, but you will make decisions based on “how much time do I spend editing someone’s books when I publish them — maybe I need to charge more” or “how much time do I spend preparing for a speaking engagement — maybe I need to raise my rates”). I keep a trivial spreadsheet when I’m writing a manuscript that tracks hours (and word count) for each writing session. When the manuscript is done, I add the hours I spend editing, formatting, distributing, etc., and I include the word count to help track my words/hour rate. I add this information to the spreadsheet where I track Variable Annuity information (see above) and use it to calculate effective labor cost. For my own books, this just helps me make decisions about the overall investment I’m making and predict how long things typically take. But when I wear my publisher hat and work on someone else’s book for publication by one of my imprints, then it’s very important for me to know how many hours I spend (which has an imputed cost) versus what I’m charging (royalty rate) to publish that book. If my royalty rate is too low to recover my labor (and out-of-pocket) investment in a reasonable period of time, then I need to see what I can tweak to fix that (my time spent or my royalty rate). Remember, I want to average at least a 10% earnings per year from my investment as a publisher for others, too. Because our businesses are mostly too small to have actual salary issues (yet), our labor “costs” do not appear in our financial statements, only in our variable annuity and other analyses. Once that changes and you acquire employees, then you still have to track the hours in this way, since for any employee (including yourself), the fully loaded labor cost is divided between those same “direct cost” buckets (“Cost of Goods Sold by business line detail”) and appropriate “indirect cost” buckets, such as S, G & A (Selling, General, & Administrative) costs, so that the business model as a whole still correctly reflects your actual costs within each business line. If you don’t come from a business or corporate background, all this may seem like a lot of work and a big learning curve, but I assure you it’s worthwhile. Even if you just have one title in development, it’s never too soon to begin tracking the data at the detail level you will need to do this when your volume increases. You can only analyze data at the level that you track it — you can’t make up detail that you didn’t keep. It’s good to know, at the end of the day, that you’re making a profit, or getting closer to doing so. But if that’s all you know, you’re operating the levers of your business blindly, and that can leave you vulnerable to unwelcome surprises. OVER TO YOU Do you have any observations or advice to add to Karen’s guidelines? Any questions? Please feel free to join the conversation! Or you can read all three posts as one single article at Karen’s blog here. Karen Myers is a writer and publisher, and a proud professional member of ALLi. You can find her author blog at www.HollowLands.com.